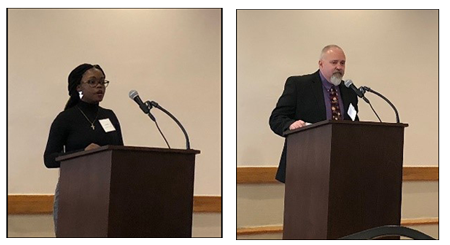 Howard County Legislative Breakfast | Service Coordination, Inc.
Tracey Mack and Marc Weinstein presented at this year’s Howard County Legislative breakfast highlighting housing and transportation needs. Individual Christine Towne discussed Supported Employment services she receives from Arc of Howard. This was a great partnership with The Arc of Howard County and the Howard County Autism Society. This years event was held December 5, 2018 @ 7:30 am – 9:30 am at the The Manor House in Savage, MD.